Ben Sherman's classic Mod Target T-shirt, here in dark navy, conjures up images of the legend Keith Moon and that classic 1960s Pop Art vibe. Crafted from soft jersey cotton, this Retro crew neck, short sleeve tee is perfect for comfortable and casual everyday wear. The iconic Mod Target takes pride of place on the front centre of the Tee and is accompanied by simple Ben Sherman signature sign off. 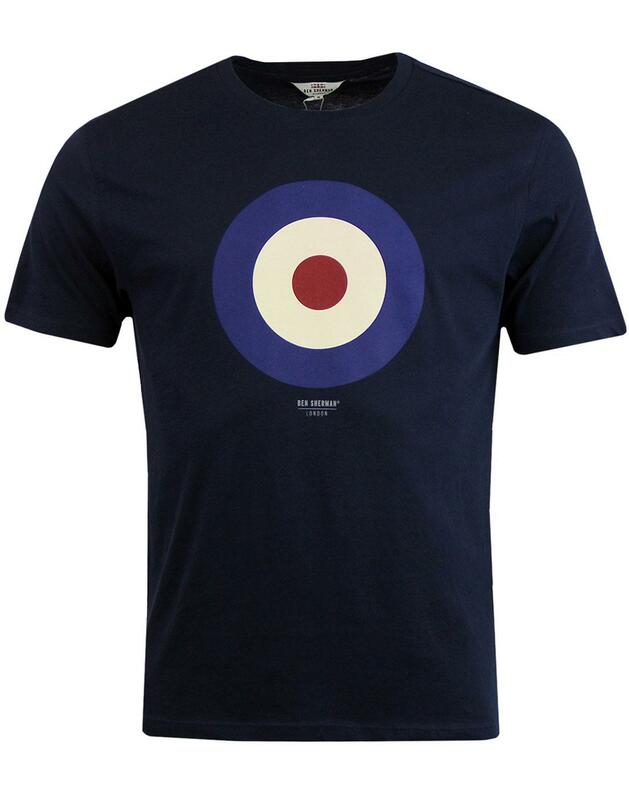 Two icons of Mod culture and fashion, Ben Sherman and the Mod Target on one fab dark navy crew neck T-shirt! 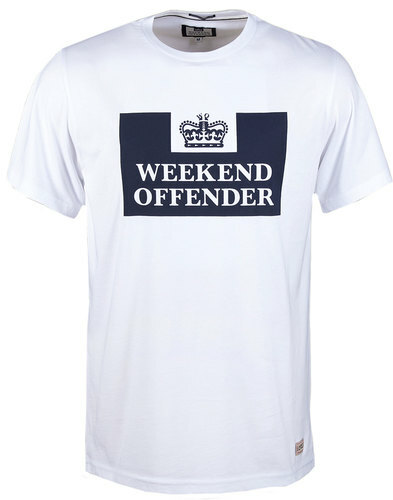 - Ben Sherman Mod Target Tee in dark navy. - Classic Keith Moon Pop Art vibe. - Red, Vintage White and Blue Mod Target print to chest. - Ben Sherman signature detail. - Classic retro crew neck, short sleeve tee. Please refer to size guide for sizing information.